Euromold AFN are single core cold shrink cable terminations for use outdoor and specified to terminate and connect medium/high voltage cables in the following voltage classes – Slip-on terminations are cold applied terminations require no “hot-working” for safe use in potentially explosive atmospheres and hazardous area locations. Euromold AFN slip-on cable terminations have a kit of 3 terminations for use outdoors in areas exposed to sunshine and other weather conditions. 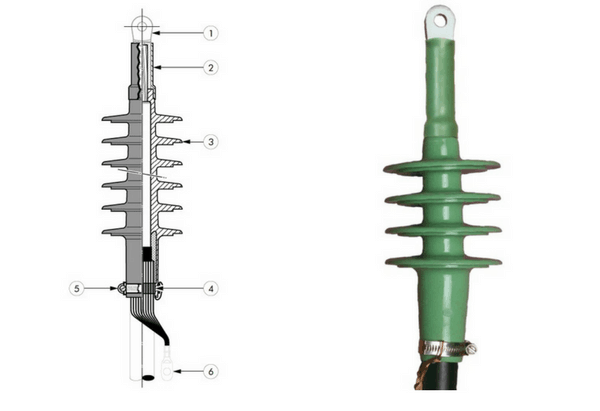 Suitable for connecting polymeric insulated cable to equipment and for the outdoor terminating on to overhead lines or busbars. Select the Euromold part number corresponding to both the system voltage and the cable insulation diameter in mm. The complete kit comprises of 3 termination housings, installation instructions, special lubricant, wiper, adhesive tape and field control mastic. Euromold | Connect | Joint | Terminate MV HV Cables – view our complete range of HV Joints & Terminations in heat shrink, cold shrink, push-on and plug-in versions for medium/high voltage cables.